Fly from Sydney/Melbourne/Brisbane to Perth with Virgin Australia. In Perth connect with your South African Airways flight to Johannesburg. Arrive in Johannesburg, then fly up to the Kruger. On arrival at Hoedspruit airport you will be transferred to the lodge, located in the wildlife prolific Makalali Game Reserve. The reserve covers 26,000 hectares of savannah and riverine forest. 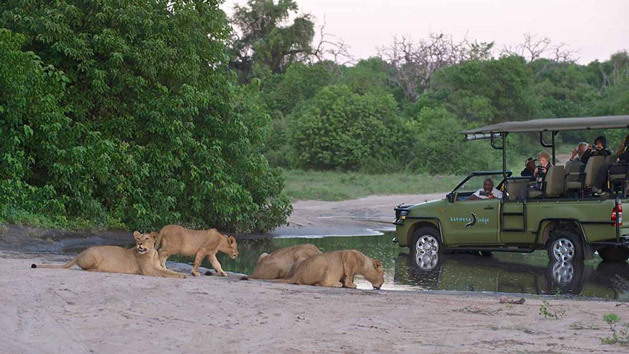 This join your first 4WD safari in 'big five' territory. Makalali Main Lodge - standard suite (LD). Each day includes morning and afternoon game drives in an open 4WD. Animals are most active at these times and wildlife spotting is guaranteed. Spend some time at leisure in between game drives. Enjoy all meals at the lodge in the open dining area. Makalali Main Lodge - standard suite (BLD). Join a final morning game drive, followed by breakfast. Then transfer to Hoedspruit airport for your flight to Cape Town. On arrival in Cape Town you will be met and transferred to your hotel. Your accommodation is located at the vibrant Victoria and Alfred Waterfront. Protea Hotel Breakwater Lodge - standard room (B). Enjoy a guided half-day tour of Cape Town this morning. Highlights include a visit to: Table Mountain (cableway ticket is not included as weather permitting), the Malay Quarter, the city centre, Company Gardens and, time permitting, the Castle of Good Hope. Protea Hotel Breakwater Lodge - standard room (B). Today is at leisure. Suggested excursions, such as a day in the Cape Winelands, a visit to the Cape of Good Hope at Cape Point Reserve, or a poignant visit to Robben Island, the former prison where Nelson Mandela was incarcerated, can be pre-booked to assure availability. Protea Hotel Breakwater Lodge - standard room (B). This morning you fly from Cape Town to spectacular Victoria Falls; the largest curtain of water in the world. Late this afternoon enjoy a Zambezi River sunset cruise. Look out for hippo, crocodile and elephant, as well as many bird species. Stay at a popular guesthouse. Bayete Guest Lodge - deluxe room (B). Enjoy a guided tour of Victoria Falls, known locally as ‘Mosi-oa-Tunya’, the 'smoke that thunders'. Afternoon at leisure. Optional activities include elephant interactions, a heli flight over the Falls, or high tea at Victoria Falls Hotel (own account). Tonight dine at The Boma, including cultural entertainment. Bayete Guest Lodge - deluxe room (BD). Transfer about two hours to your friendly lodge in Chobe, Botswana. This afternoon take either a boat safari to view animals drinking and frolicking in the Chobe River, or a 4WD safari in Chobe National Park, known for its large concentration of elephant. Return to the lodge for dinner. Chobe Bakwena Lodge - standard chalet (FI). Enjoy two game activities in Chobe National Park. Look out for huge herds of buffalo, plus zebra, lechwe, Chobe bushbuck, puku antelope and numerous predators include lion and leopard. The park's rich bird life includes the Pel's fishing owl, the African skimmer and African fish eagles.. Chobe Bakwena Lodge - standard chalet (FI). After a final game activity and breakfast you are transferred to Kasane airport for your flight to Johannesburg. You remain in transit at Johannesburg airport between flights, then board your overnight flight to Perth. (B). (Flights are in economy class). Your flight arrives in Perth around midday on day 13. In Perth you clear Australian passport control and customs, then proceed to check-in for your Virgin Australia flight to the east coast (for passengers from Sydney, Melbourne or Brisbane). (Flights are in economy class). Activities: safari game activities, Table Mountain and City tour, Zambezi River sunset cruise, guided tour of Victoria Falls, The Boma dinner. Your African adventure begins today. Your Virgin Australia flight departs the Sydney/Melbourne/Brisbane domestic terminal in the early evening and arrives in Perth in the mid-evening. In Perth you connect with your South African Airways flight SA281 departing at 11:50pm and arriving into Johannesburg at 5:00am the following morning. (Flights are in economy class). On arrival at Johannesburg airport you complete passport control, and customs, and check-in for your flight to the Kruger. On arrival at Hoedspruit airport, in the Kruger region, you are met and transferred to the lodge where you will enjoy lunch (dependant on arrival time). Your accommodation is at the popular Makalali Private Game Lodge, situated within the wildlife prolific Makalali Game Reserve. Only one hour from Hoedspruit, the reserve covers 26,000 hectares of savannah and riverine forest. Makalali represents a piece of Africa as it used to be, with the northern Drakensberg mountains in the distance and Kruger National Park to the east. As part of the Greater Kruger area, vast herds of buffalo, elephant and grazers are resident on the reserve, along with plenty of predators. After a rest and afternoon tea, you join your first game drive in the late afternoon. As a private game reserve close to the Kruger National Park, Makalali offers the chance to see the ‘big five’ and more. Your open sided game vehicle is guided by your ranger, whilst a ‘spotter’ tracks animals from the front of the vehicle. This gives guests the best opportunity of viewing wildlife up-close. Upon your return to the lodge, you enjoy dinner at the open air boma or indoor dining room. Makalali Main Lodge - standard suite (LD). Makalali Main Lodge is a newly built game lodge comprising of 30 comfortably designed standard rooms all with en-suite bathrooms. The rooms are air-conditioned and feature luxurious interiors with classic leather and wood furnishings. Makalali Main Lodge has a central dining area where guests can enjoy an array of African cuisine. 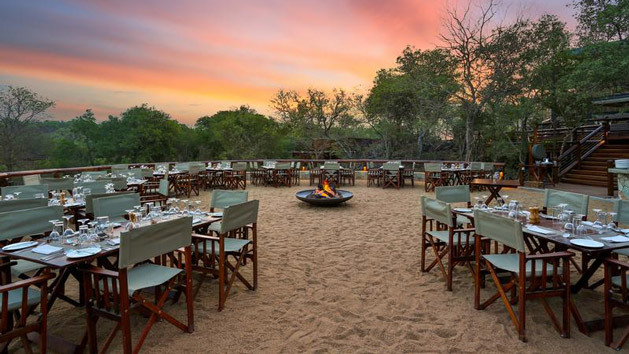 The outside boma is ideal for an evening under the African sky. The spa offers a variety of soothing treatments and the pool area offers the perfect place to unwind and take in the sounds of the African bush. 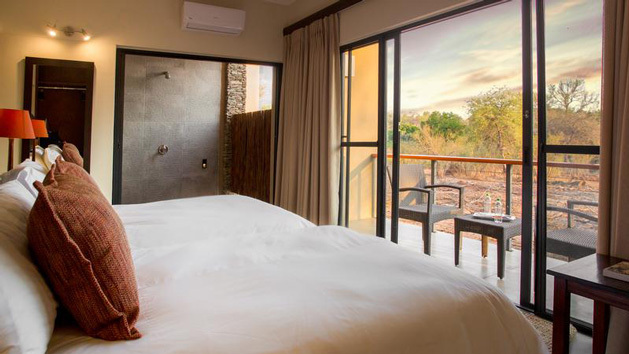 Built for pure comfort in one of the area’s biggest and best game reserves Makalali Main Lodge is set to become a long term favourite amongst safari aficionados. Each day begins with a wake-up call at 5.00 am before you meet for tea and coffee at 5.30 am. After a cuppa you head out on your morning game drive. The fresh morning air in your face as you travel on an open 4WD with the prospect of seeing the ’big five’ (lion, leopard, buffalo, rhino, elephant) is an exhilarating experience. Animals are often most active at this time of day and spotting wildlife is guaranteed. Experienced rangers and trackers will share their knowledge of the African bush with you as you enjoy a range of animal sightings. You return to the lodge late morning for breakfast. Your time is now at your leisure. There is a cooling pool with a large teak pool terrace to relax upon, a curio shop for some retail therapy and a friendly bar with numerous board games and books to enjoy. Main Lodge is home to an extensive wellness centre for those wishing to indulge themselves with a spa treatment. Additional activities such as visits to the Hoedspruit Centre for Endangered Species and Panorama Route tours can be booked at the lodge. After lunch, afternoon tea and some time to relax, you set off again at around 4.00 pm for another game drive to experience wildlife at dusk. This is your opportunity to view the interaction between animals as they search for food. Once back at the lodge, dinner is served buffet style in the open dining area. Makalali Main Lodge - standard suite (BLD). Join your final early morning game drive, followed by breakfast, then depart the Kruger. Transfer to Hoedspruit airport to board your economy class flight to Cape Town. On arrival at Cape Town airport you will be met by our representative and assisted to the transfer vehicle, before being driven to your hotel. Cape Town is one of the world's most picturesque tourist destinations and is a city offering a mix of attractions. Situated amidst majestic mountains and surrounded by pristine white beaches, the city is truly very beautiful. Often called the 'cosmopolitan hub of Africa', Cape Town is home to a rich cultural and historical heritage, vibrant restaurants, scenic cruises and world-class, affordable shopping. Your accommodation is located at the vibrant Victoria and Alfred Waterfront. Protea Hotel Breakwater Lodge - standard room (B). Just minutes away from restaurants, theatres and shops, the Breakwater Lodge is a perfectly positioned Cape Town hotel in the heart of the V&A Waterfront. The hotel lies within easy reach of the best beaches, visitor hotspots and the airport, making it an ideal base during your stay in Cape Town. Once a 19th century prison, this hotel today provides comfortable and affordable accommodation in a spectacular setting that looks out over Cape Town’s harbour and up to Table Mountain. The rooms are all comfortable, welcoming and attractively furnished as well as being equipped with LCD televisions with an 11 channel DSTV package, radio and a direct-dial telephone. Rooms include tea and coffee making facilities and a welcome tray with biscuits is delivered on arrival. Protea Breakwater Lodge is by far the best value for those on a budget who wish to stay on the vibrant V & A Waterfront. After breakfast you depart on a guided half day tour of the city. Highlights of the tour include: a visit to the top of Table Mountain on the cableway where the various flora and fauna will be explained (the cableway ticket is not included as the mountain visit is weather permitting); the Malay Quarter, city centre, Company Gardens and, time permitting, the Castle of Good Hope. Your afternoon and evening are free to explore this fascinating city. Protea Hotel Breakwater Lodge - standard room (B). Day 8: Victoria Falls, ZimbabweThis morning you transfer to Cape Town airport for your economy class flight to Victoria Falls, Zimbabwe. Victoria Falls is one of the most spectacular natural wonders in the world. There is a magic about the falls manifested in the towering column of spray when the river is high, the thunder of the falling water, the terrifying abyss and tranquil lagoons upstream in which hippo and deadly crocodiles lurk. The falls are 1,708 metres wide, making it the largest curtain of water in the world. Remarkably preserved in its natural state, Victoria Falls inspires visitors as much today as it did David Livingstone in the 1860s. In the late afternoon enjoy an unforgettable Zambezi River sunset cruise, look out for hippo, crocodile, elephant and sometimes even rhino, as well as many bird species. Your accommodation is at a popular guesthouse lodge. 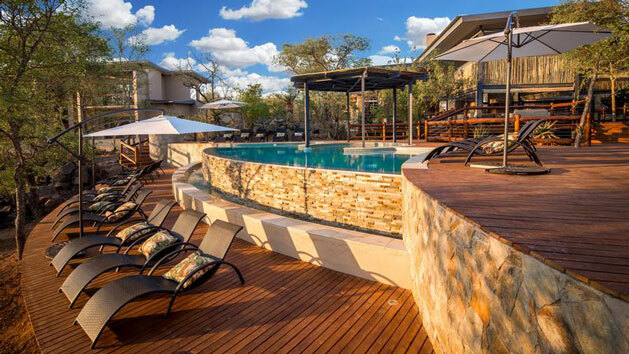 The lodge’s restaurant, swimming pool and bar offer a pleasant place to enjoy your first evening in Victoria Falls. Bayete Guest Lodge - deluxe room (B). Bayete Guest Lodge Victoria Falls offers comfortable and affordable accommodation in the heart of the Victoria Falls residential area. Newly renovated, Bayete Guest Lodge is a family run lodge that offers 25 rooms that are set in a lush tropical garden. Central to the lodge is the large teardrop swimming pool, which is hugged by the Caldecott Dining Boma and the Ingwezi Tavern. The Ingwezi Tavern, steeped in history and character, is central to the communal area where guests are able to gather, have refreshments and socialize. 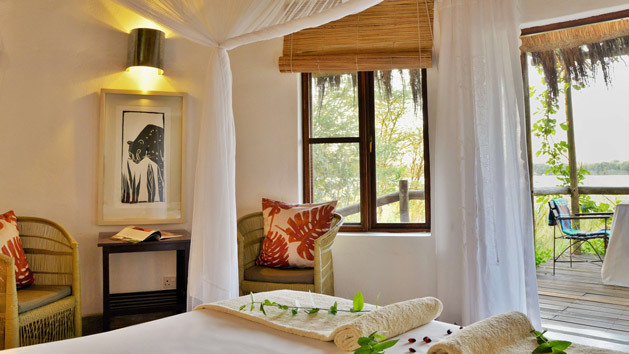 The lodge’s room all feature mosquito netting draped beds, private en-suites and air conditioning. The airy décor creates a relaxed ambience and light filled atmosphere. This friendly lodge is great value for this region. Its friendly staff make it a favourite amongst travellers who enjoy gaining inside knowledge from the locals and its ground make it a haven of peace after a day’s adventure. After breakfast enjoy an informative guided tour of Victoria Falls. You will be accompanied through the rainforest by a qualified guide who will give a brief history of the falls and detail the flora and fauna. This afternoon is free to join one or two of the many optional excursions that this region offers. Choose from a vast selection of adventures ranging from: elephant interactions, white water rafting, scenic flights over the Falls, or high tea at the famous Victoria Falls Hotel. This evening your dine at your lodge’s The Boma. You enjoy a buffet barbeque dinner, featuring both local and international dishes. The Boma is a fitting final dinner in Victoria Falls. Bayete Guest Lodge - deluxe room (BD). After breakfast and check-out you are transferred to the border with Botswana and then on to your Chobe lodge. This transfer takes approximately two hours and includes a border procedure where your driver will assist you. At the lodge you will discuss the activities available. These are usually safaris in the style of the region, such as boat safaris, which allow you to view animals on the riverbanks, and 4WD game drives within the national park. This afternoon set off on your first game viewing activity. Chobe National Park has about 100,000 elephant, one of the biggest concentrations in Africa. It is also notable for huge herds of buffalo and zebras, lechwe, Chobe bushbuck and puku antelope. Where there are buffalo, lions are never far away and there is a good chance of seeing large prides here who hunt after dusk. Hyena and leopard also hunt at night, while cheetahs are diurnal predators. Chobe is rich in bird life with the Pel's fishing owl a favourite, along with the strangely beaked African skimmer and African fish eagles. Return to the lodge for dinner. Chobe Bakwena Lodge - standard chalet (FI). Surrounded by the Chobe National Park and forest reserve, Bakwena Lodge is an eco-luxury retreat on the banks of the Chobe River. Bakwena, from Setswana meaning ‘people of the crocodile’; one of the largest tribes in Botswana; embraces the surrounding culture and country as inspiration for its style and hospitality. The lodge comprises ten rondavel style chalets, two of which are family units, all situated under the shady canopy of Acacia trees. Each chalet offers a cool place to relax with its own raised deck, with day bed, overlooking the river. Each chalet has an interior bathroom opening onto an outside garden with an outside shower. The main entertainment area with its lounge, restaurant and Rain Tree bar overlooking the river and inviting swimming pool are a social area to meet your fellow safari enthusiasts. Activities include game drives or river cruises in the Chobe, fishing trips, bird watching, nature walks, and cultural tours and visiting Impalila Island with its giant baobabs. Today you have two game activities which typically include a river safari on the Chobe River and a 4WD game drive in Chobe National Park. A river cruise offers unique game viewing and bird sightings on the river and riverbank. Whereas a game drive includes up-close sightings in Botswana’s premier game park from the comfort of an open sided safari vehicle. Chobe Bakwena Lodge - standard chalet (FI). All park fees and taxes applicable at the time of booking. Prices for airport taxes, park fees, government taxes and levies may be changed without prior notice. Any change is beyond our control and any increase will be passed on to the client. This is a 13 day package consisting of a variety of services combined. Please note this is not a group tour, however the package includes shared transfers, day tours and game drives.